Unconditional relaese for all political prisoners in India! In the prisons in India prisoners suffer any kind of harassment , torture, denial of service , inhumane living conditions , arbitrary transfers, brutal beatings and protracted and unjustified isolation, while women prisoners are often raped. Despite these conditions of detention, the prisoners are resisting and struggling with revolutionary spirit, transforming the jails in which they are locked in a battle front against fascist Indian regime. 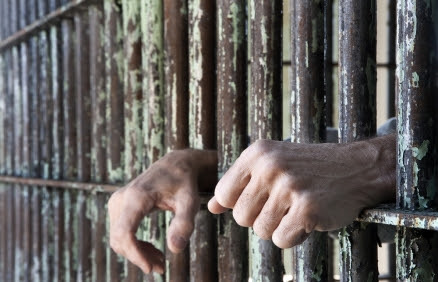 On 30 January 2014, inmates of the Central Prison Nagpu, Maharashtra, at least 177 prisoners, started a hunger strike and soon hundreds of prisoners joint the struggle throughout the country. The war of liberation of the masses in India can not be stopped by the repression , which indeed widens the political and moral solidarity ! A day after Union Finance Minister P. Chidambaram, doled out grounds for further cheer for Auto Company bosses in the interim budget, all the workers at auto parts electronics factory, Asti Electronics India Pvt. Ltd. (Plot 399, Sector 8), IMT Manesar, went on a wildcat strike occupying the plant on 18th February 2014, pointing to the brutal exploitation of workers which buttresses this cheer. Emboldened by this strike action, a little while later on that day itself, workers in nearby Baxter Pharmaceuticals India factory also struck work on to voice their long-standing discontent. While the immediate trigger for the strike at Asti was physical and sexual violence against four women workers in the morning, the workers at Baxter revolted against the arrogant rejection of their file for Union recognition by the labour department which hand-in-glove with the company would not allow Union formation in the multinational. Since the morning of 18th February, fed up with continuous repression of their trade union rights and coercive measures by the management which include terminations, threats, abuse and now molestation and physical intimidation, all of the around 600 workers, which includes 70-80% contract workers, and among whom women workers constitute around 70%, struck work, and sat inside the factory at the maidan. This immediately erupted after the incident yesterday morning when some women workers were abused and molested by supervisors and managerial staff, fuelling the already boiling workers anger. This builds up on a regime of underpayment, at times even below the state minimum wages, increasing work pressure and harassment at work, all common features of the exploitation-pit which produced the vulgar glitter recently at display at the Auto Expo in nearby Delhi, had made workers come together to try and get their Union registered. Filing for Union registration on 12 January 2014 only incensed the management of the multinational who attacked by terminating the services of two workers, one on 25th Jan and another on 27th Jan. Both these workers name appear in the list of Union representatives that workers agreed to in filing for Union recognition. Next to go was a contract worker who protested the high-handedness of a supervisor a few days later. The move of the management was to intimidate anyone who came forward to voice the collective anger, or even any collective attempt at asking for Union rights. The move this morning, of sexual harassment and intimidation is part of the measures for ‘industrial peace’ that is common in the area. Women workers attest to the daily sexual harassment of snide remarks to add to the continuous squeeze of their overworked mind and body. Police was called by the management who used the threat of force, but the unity of workers and their disciplined sit-in could not be broken. The workers from nearby factories also gathered outside the factory gate in a show of solidarity. Slogans of ‘management chor hain’ could be heard from inside the plant. In the evening, under immense pressure from the striking workers, the management had to back off by conceding to the demands of the workers. All three demands of (a) reinstatement of three terminated workers, (b) no vengeful tactics to be used by management related to workers filing for Union registration, and (c) proceedings against guilty supervisors and management who used sexual violence and force against workers in the morning, were agreed to. This is a swift victory of the might of workers united strike action. Asti (AEIPL) is a subsidiary of Asti Corp, Japan which produces wiring harness, switches, controllers, and other automotive and electronics parts. It supplies to auto companies Suzuki Motorcycles, Maruti Suzuki, Yamaha Motors, Omron Automotive, etc. with branches in Japan, China, Vietnam and India. Meanwhile in nearby Baxter India Ltd, a pharmaceutical company, workers of A shift struck work in the morning, later joined by B and C shift workers. The strike at Asti emboldened them to organize their long standing unrest. This strike comes in the wake of continuous workers struggle for the last 6 months, where 45 workers who signed for filing Union recognition have been transferred to its Waluj plant near Aurangabad in Maharashtra, while around 6 workers were later suspended and terminated. This was done by the management in vengeful manner to curb Union formation. And to top it up, in place of the transferred workers, those newly hired are on contract, showing its concerted move towards contractualisation. With 70% women workforce, and 50% contractualisation and increasing, the plant has around 450 workers, who toil day and night in underpayed, overworked, abusive and hazardous work environment. Permanent workers here get Rs.7-8000 while contract workers take home around and less than the minimum wage of Haryana at Rs.5600. While the pharmaceutical plant says that it produces life-saving drugs to treat ‘hemophilia, immune disorders, infectious diseases, trauma, and other chronic and acute medical conditions’, the brutally exploitative and repressive conditions under which workers who produce these drugs work expose the hollowness of the humane overcoat which the company wears. For the last six months, workers have been struggling to get their Union registered. The file for Union registration was rejected by the Labour Commissioner on flimsy technical grounds, the real reason, as some workers told us, being that the state is taking on as a responsibility, to see to it that workers get ‘peacefully exploited’ in the MNC-raj regime. The case is now pending at the Punjab and Haryana High Court. When yesterday workers received news that the date for mediation of the stalemate of their conciliation with the DLC has been merely delayed to 22nd April, and upon hearing about the strike action at Asti, they struck work. They stayed inside the plant in the night, while the management security and police did not allow any food inside the premises the entire day till 19th evening, when workers from nearby plants and trade unions tried getting food inside the plant. One woman worker fell sick and had to undergo medical treatment later which was also not available during the time of the strike. Late into the evening of 19th Feb, negotiations with the management got workers their demand of reinstating all 45 transferred workers back in the Manesar plant. The six suspended workers however remain suspended pending domestic enquiry in a time-bound manner. Baxter manufactures medication delivery and renal businesses in 27 countries with three plants in India; it recently expanded capacity and vertically integrated to produce plastic parts, but with even lesser number of workers, while it registered 49.77% as gross margin profits in the last year. In the last two months itself, among others, management coercion against Union rights, was seen in the nearby Munjal Kiriu in IMT Manesar where goons were sent to beat up workers sitting at the factory gate and Autofit factory in Dharuhera some distance away, where workers struck work for 59 days and made the management backtrack on its condition of separating and keeping the contract workers out of the plant. The strike at Asti where working class women were at the centre of struggle and at Baxter where workers were fed-up with the farcical neutrality of the labour departments hand-in-glove with the management and punishment regime adds to this growing class anger. The inefficacy and second-class managerial role of the central trade unions, independent of which there is a growing assertion of plant-based workers unity across segmentation (the Autofit strike being a particularly illuminating case) and plant occupations, among others, are increasingly to be seen in the recent strikes in the last two months. In a small clearing in the forest, the village barber gets down to work, shaving the stubble of a man in a brown sweater and olive combats. Three young women in dark green uniform stand at the centre of the clearing, soaking in the late afternoon sun, rifles slung over their shoulders. 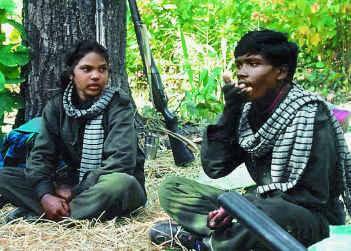 These young men and women are members of two local guerilla squads of the CPI (Maoist). Almost all of them grew up in villages nearby and were recruited in the last one year, they said, sitting down on two black plastic sheets spread over fallen leaves. The Union Home Ministry has sounded an alert to governments in Bihar, Jharkhand, Odisha, West Bengal, Chhattisgarh, Madhya Pradesh, Maharashtra and Uttar Pradesh. Aiming to disrupt the forthcoming general elections, the Naxals plan extensive mining in their strongholds to target political leaders and security forces as a bounce-back strategy after their failure to execute poll-boycott plans in Chhattisgarh last November, according to an alert sounded by the Union Home Ministry. On 9 June 2013, just before the clock struck midnight, a police contingent in Assam’s Tinsukia district boarded the Chennai-Egmore Express, minutes before its three-day long journey, and pulled out 66 youths. 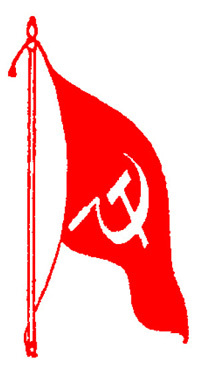 A critical intelligence input received by the police had indicated that these youths from tea gardens, Ahom and Moran communities were going to join the Communist Party of India-Maoist (CPI-Maoist). Following two days of interrogation and confirmation from the employers of the youths in Chennai, all were released. To cover up a major embarrassment, the police establishment forced the parents of the youths to sign undertakings that they would produce their wards before the police whenever asked for. 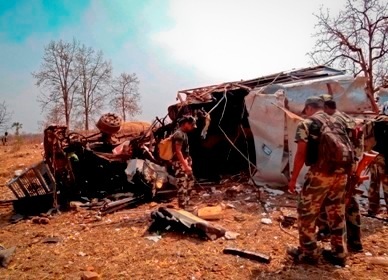 The incident in a way summed the mindset of the security establishment in Assam, which for the past couple of years, has been pursuing a non-existent enemy, invariably under political orders. 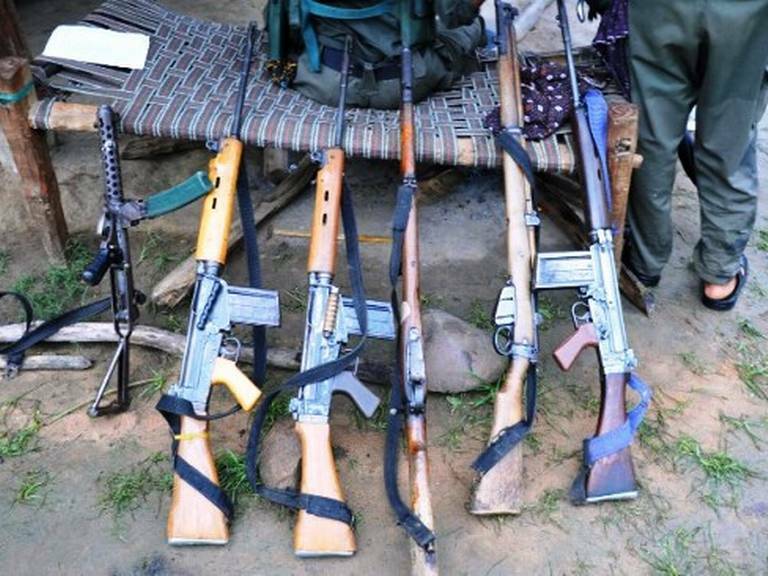 Media reports on the alleged inroads made by the CPI-Maoist into the Northeast in general and Assam in particular have produced alarming narratives comprising encounters, arrests, shadowy extremist game plans, and a vision for taking over the region. While few of these incidents are real, most, like the incident narrated earlier, are unsustainable. Arrested Maoist cadres identified as central committee members, training instructors, and key leaders of the outfit’s eastern wing have been found to be old men in the age group of 65 to 70 years, a clear departure from the mainstream Maoist movement whose leaders and cadres are much younger. Post-arrest, the so called high profile cadres like Aditya Bora have been given instant bail by the courts in view of the weak and unsubstantiated charges brought against them. The so called extortion notes recovered in upper Assam districts contain expressions such as ‘Maubadi 147’ and symbols of a rising sun, indicating the involvement of petty criminals posing as Maoists or even cadres of the United Liberation Front of Assam (ULFA), whose party symbol is the rising sun. The ‘disappearance’ of 300 youths from various Assam districts has been described as a successful recruitment drive by the CPI-Maoist. 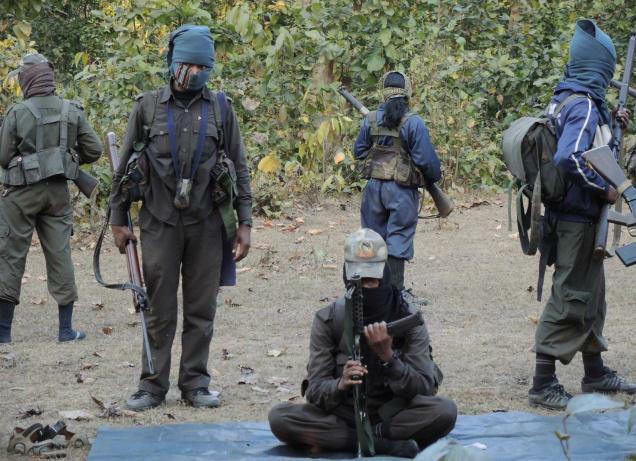 The Assam-Arunachal Pradesh border region has been described as the new hotbed of Maoist activity. 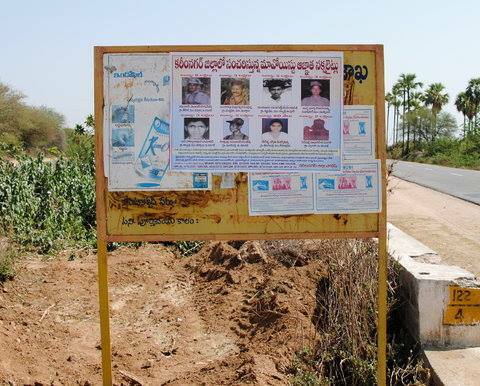 Hundreds of kilometres separate the area from the nearest Maoist area of activity in West Bengal, violates the principle of contiguity, which the CPI-Maoist steadfastly hold on to in its expansion drive. Such disquieting narratives, as a result, coexist with saner assessments, incidentally by some of the senior police officials in Assam. They in fact, insist that there is no constituency in Assam which the Maoists can exploit to spread their ideology. 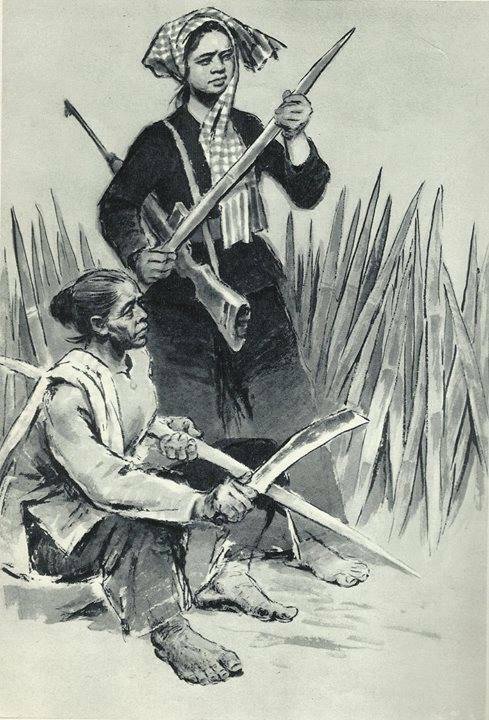 In January 2014, Assam’s director general of police confirmed that “Maoists have also not yet been able to make strong inroads into Assam.” The purpose of this column here is not to argue that Maoists have no plans for the Northeast. They do. However, that is not a near or medium-term plan for sabotage, armed struggle and carving out of liberated zones in the region, but a more rational and realistic stratagem for using the region’s weaknesses and vulnerabilities for weapons procurement and services of the insurgent outfits for training purposes.